This year brings interesting and positive developments for Sparx Factory as our business changes and we need to respond to our markets and clients. Co-founding partner, Tamara Sanne, leaves Sparx Factory SA, to launch her Coaching and Collective Leadership practice in the Spring. We wish Tamara continued “Sparx-ling” success in this exciting next chapter of her career. Catharina Biver will continue as Managing Director of Sparx Factory SA from Luxembourg, and will cover the Belgian market together with Patricia Soler. Patricia Quiddington will remain as Director of Sparx Factory Corporation in New York. Sparx Factory is also happy to announce the addition of a new associate to the Luxembourg business: Ophelie Jankowski-Bonvalot. Ophélie has been supporting and developing people during the past years in her HR role within the financial industry in Luxembourg. 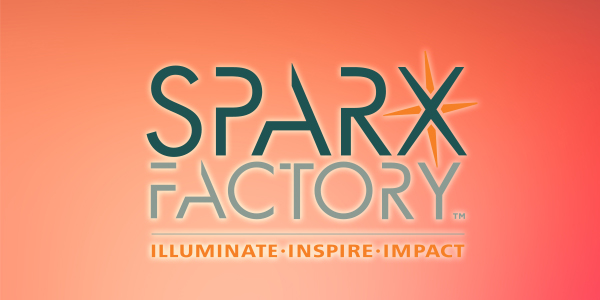 As a trainer and certified executive coach today, she is completing the Sparx’s team and put all her enthusiasm, energy and creativity to train, coach and ignite a spark to motivate and inspire people. We see a Sparkling year ahead - and look forward to bringing you along on our journey!